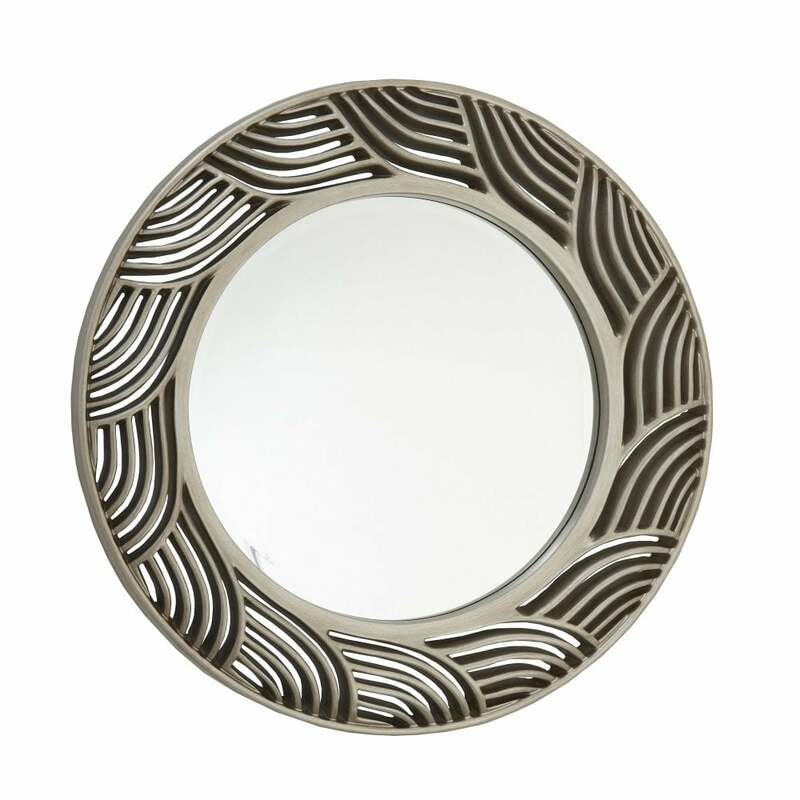 Hand-crafted by skilled artisans, the Fiore Mirror by RV Astley has timeless appeal, offering an instant style update for any interior scheme. The circular frame is finished in a beautiful, antique silver leaf and features intricate cut-out details. The free-flowing design has an organic quality, complementing the bold, circular frame. Inspired by the luxurious décor found in boutique hotels, position over a console table or fireplace for a chic look. Complement with designer furniture and lighting from the RV Astley range. Make an enquiry for more information.